It’s obvious before entering the doors that Pizzeria Mozza isn’t a typical neighborhood pizza joint. The valet parking stand gives it away. 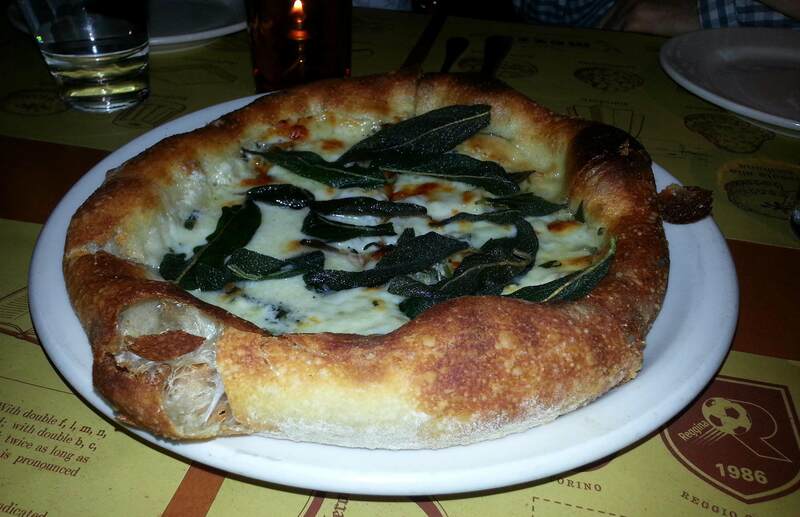 The menu is another clue; there’s also the fact that the owners are Nancy Silverton, Mario Batali and Joe Bastianich. Not surprisingly, their marks are everywhere: Silverton with the baked goods, and the men with their rustic Italian flair evident in everything, and all of them, of course, in the menu. Our server would have happily explained the unfamiliar items, but it was fun studying the menu in advance. For example, Arancine alla Bolognese. I will eat almost anything with Bolognese, but it’s nice to know that at Mozza it’s served with rice balls made from creamy risotto, rolled in bread crumbs and fried. The texture is a marriage destined for bliss. Although I don’t recall the sequence of arrival, each dish seemed to be better than the one before. The Fried Squash Blossoms filled with ricotta looks like an ugly duckling on the plate, but the burst of flavor reveals the literal inner beauty. 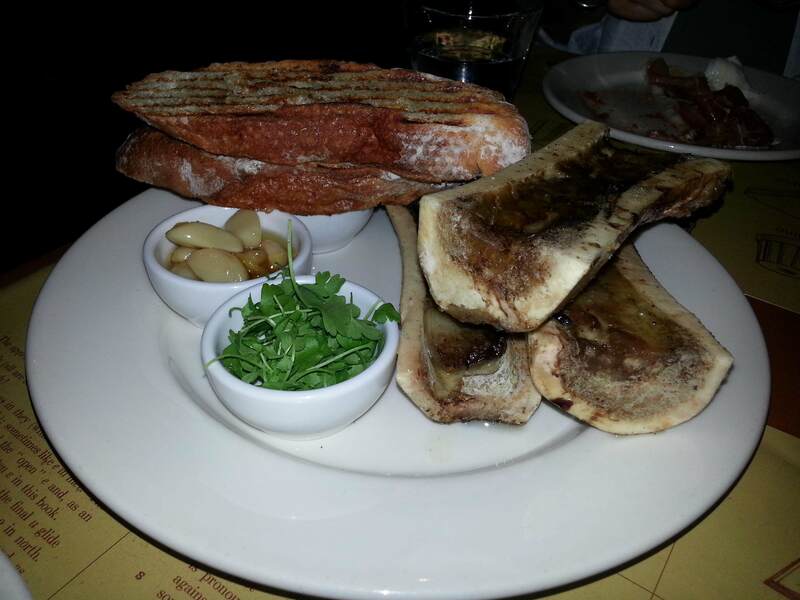 The Bone Marrow al Forno is rich, beautifully plated, and decadent. It’s served with roasted garlic and toasted bread, and oozes fatty beefy flavor. The Chicken Wings alla Diavola, Prociutto di Parma, and Mozzerella di Bufala, and the Bianca pizza completed our meal. The latter, served with crispy fried sage and sottocenere, is just the kind of upscale pizza associated with valet parking. By the way, sottocenere, is white cheese with truffles.